When you’re paddling, hiking, biking or climbing you will have different requirements and needs regarding your outdoor gear – including your hydration system. Our serial adventurer friends Chris and Antonia elaborate on their setup in different situations. The basic checklist for a hydration system stays the same, whatever you do with it: taste-free, low maintenance, reliable, durable, easy to handle and drink. SOURCE Hydration has you covered in all these aspects with our proprietary hydration technology and decades of experience, millions of bladders sold and used around the world. Depending what adventure you have planned, you will have different requirements regarding the shape, extensions, functionality of the bladder. We asked the authors of ExploreBorders.com adventure blog about their setup. 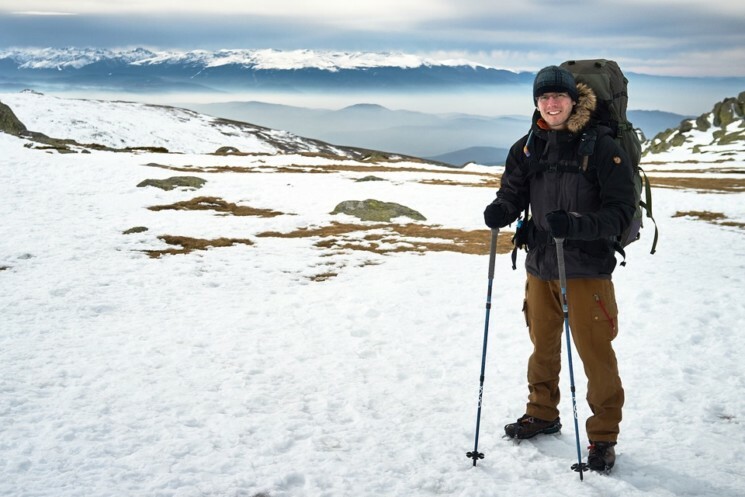 Whether we are hiking, climbing or paddling – Source offers various hydration systems for different activities in a variety of temperature ranges. In addition, there are numerous extras that are compatible and that can be exchanged if need be. We want to briefly introduce you to our favorite setups here. On our hiking tours, we use the WXP 3L Storm Valve Hydration System. The hydration system from SOURCE’s Tactical Gear line is super easy to fill. The drinking tube is covered with a woven fabric and thus UV protected – especially on sunny days a big plus. The Storm Valve mouthpiece has a good water flow: it’s not a bite-valve and the water flows without having to be sucked. This makes drinking on the go very easy. Also that way you can easily use the valve as a tap and wash your hands on the go. Even when hiking in colder regions, such as our trekking tour in northern Sweden, we use our hydration bladders. So that the water does not freeze so fast, we use the Source Widepac Insulator. But not only the bladder has to be insulated – the liquid should also not freeze inside the drinking tube! Therefore, there is an extra Tube Insulation Sleeve for extra cold temperatures. As a little tip, we also recommend blowing the water back into the bladder as soon as you finish drinking, to avoid a frozen drinking tube or mouthpiece. Note: The gadgets for insulation, of course, not only work in cold weather! If it’s hot outside, they keep the liquid cold longer. The paddling again defines its very own demands to a hydration pack. Whether in a kayak or a canoe, a backpack is rarely worn. But usually a life jacket. Many lifejackets have an extra compartment for a hydration bladder on the back. To minimize the hump, the tray is relatively flat, but quite wide. Exactly for this form there is the specially designed drinking bladder Durabag Kayak: Not only does it fit in life jackets, but it can also be attached to the boat or deck. Handy is also the extra long, sheathed drinking tube, which allows a relaxed drinking even if the bladder is not on the body. To have the bladder better protected outside the life jacket, better isolated and easier to attach, the bladder has its own bag. This is made of durable material, which protects the liquid at the same time from heat or cold. In addition, the bag is provided with a number of attachment loops. 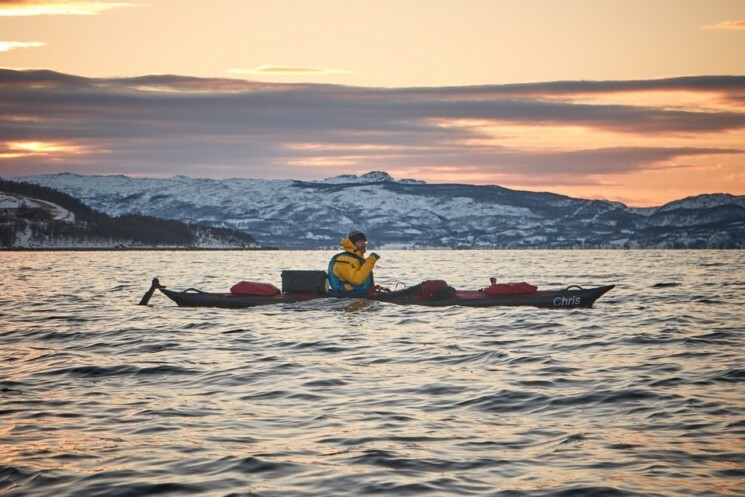 This is why the Durabag Kayak has its safe place on board … no matter whether on the relaxed paddle on the Elbe or in stormy seas off the coast of Norway.